EMERSON BLACK - GOLD LOGO. RUSTIC CUFF. 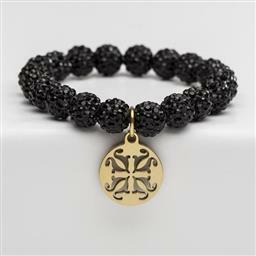 Sparkling jeweled beads with choice of silver or gold Rustic Cuff logo.